This simple appetizer calls for only 3 ingredients but serves up a delicious bite for any gathering. 1. Marinate the Salmon in the soy sauce for 20 minutes. 2. 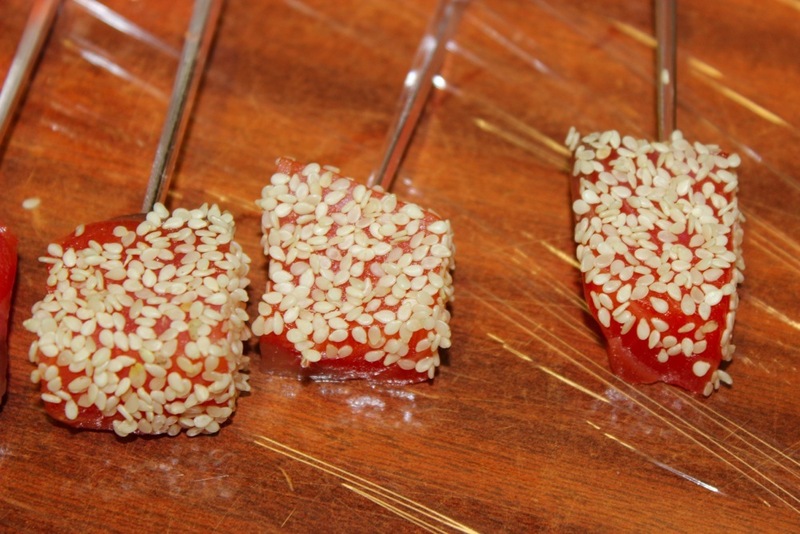 Skewer the salmon, one piece per toothpick or skewer. 3. Lightly dip each in the sesame seeds just to coat.